In the midst of a challenging work situation, a trusted colleague asked me: “Where do you shine?” I immediately knew what she meant. What are the circumstances that allow our body, mind and spirit to flow with ease? Where are we emotionally and physically safe and secure? When are our gifts received with open hearts? Where can we learn and growth in an honest and supportive manner? The daily pull of external and internal expectations can cloud our vision until we find ourselves depleted, unconsciously reverting to habits of survival. This can show up as saying ‘yes’ without thoroughly examining the pros and cons of a situation, group, or relationship. We excuse inadequate communication, tolerate missed commitments, and spend too much precious time processing the past to avoid acknowledging it is time to make decisions about a toxic situation. 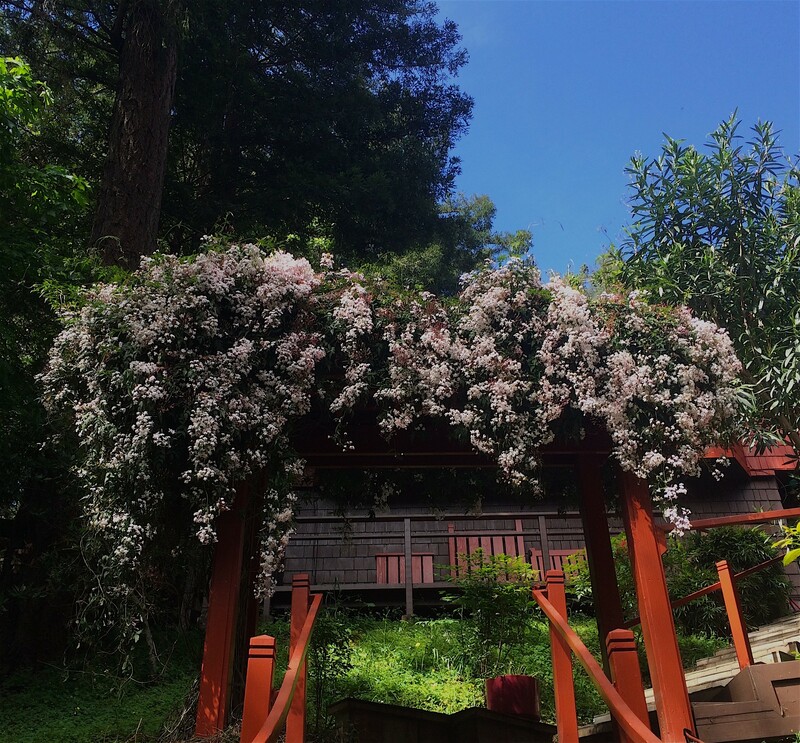 Like the beautiful jasmine pictured above that welcomes me home, we require the appropriate sunlight, nutrients, and water to shine. It is our responsibility to pay attention and that means uprooting ourselves when what we thought was an oasis turns out to be hard clay. Luckily for us, we respond quickly to nourishment if we re-commit to our right to thrive. I used to be annoyed at weeds clawing their way through the pavement or sidewalks. Now I cheer them on as sure signs that the tiny seeds that slid into the cracks are like our determination to shine despite small and large obstacles.